Our board of directors is comprised of dedicated members of our community. They are committed to the success and constant innovation of Humber River Hospital. They are supported by our Executive team, made up of skilled professionals with the goal of assuring quality, high-reliable patient care every time. Board Minutes, Policies & Procedures are available upon request from the Board Secretary at 416.242.1000 x82109. Terry is the Chairman of the Board of Humber River Hospital. Terry is also the Vice Chairman and a Director of Leon’s Furniture Limited, which is a retailer of furniture, appliances and electronics. The divisions housed under the parent corporation are: Leon’s Furniture; The Brick; Brick Outlet; The Brick Mattress Store; Appliance Canada and Midnorthern Appliance. 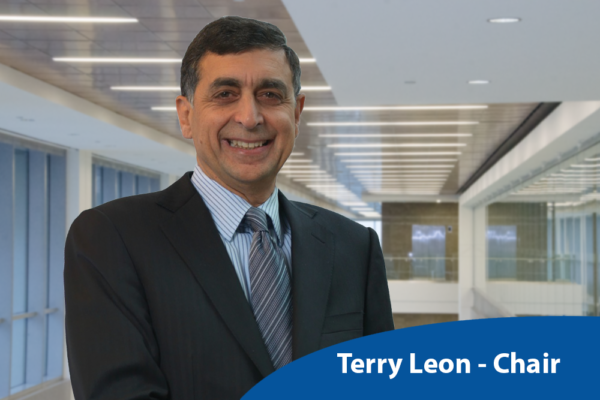 Terry has held various positions within Leon’s Furniture Limited. He was appointed Corporate Counsel in 1984; Vice President, CFO and Secretary in 1989; became President on May 13, 2002 and CEO on May 12, 2005. When Leon’s Furniture Limited completed its acquisition of The Brick on March 28, 2013, Terry became the CEO for both divisions and continued with responsibilities as President of the Leon’s division. He passed on his reign as President on June 17, 2015, but retained his role as CEO of the parent corporation. Terry retired as CEO on September 30, 2018 and was appointed Vice Chairman of the Corporation. Terry graduated from law school at the University Of Western Ontario in 1976, was called to the Bar and has been a Member of the Law Society of Upper Canada since 1978. Frank Fazzari, FCPA, FCA, CFE, is the managing Partner of Fazzari + Partners LLP, Chartered Professional Accountants, responsible for strategic planning and setting goals and objectives of the Firm. He is also responsible for providing assurance, tax, and special services to primarily private enterprise clients. Some of the special services provided include due diligence and forensic accounting investigations. He is the past Chair of the Humber River Hospital Foundation. 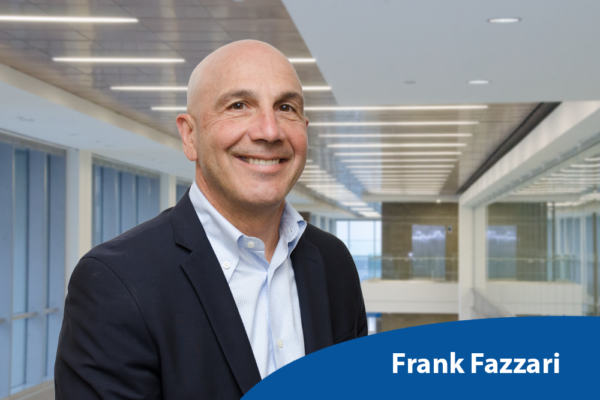 Frank has published articles in trade journals and other forms of news media including the Globe and Mail. With over 30 years of experience in business and community affairs, he is actively involved in promoting and maintaining standards within the CPA community. Frank graduated from York University with BBA in 1998 and articled with a national accounting firm. He serves as Treasurer of the Board and is the Chair of Finance Committee. With more than 50 years of experience in the pharmaceutical industry, Mr. Kay is highly regarded for his leadership and business acumen. Mr. Kay has served as a Board Member for a variety of charitable organizations, and is Past-Chair of the Board of the International Schizophrenia Foundation. Mr. Kay was also a board member of the TSE & NYSE listed companies. The 2017 AGM marked a return to the Board of Humber River Hospital for Mr. Kay: his past service includes being the Chair of the Board in 2005 when the Government of Ontario approved the redevelopment plans for our new hospital. Mr. Kay and wife Pat have a relationship with our hospital that goes back more than 35 years. Long-time friends of Humber River Hospital, the Emergency Psychiatric Unit in the Humber Emergency Department is named in honour of their financial support for our hospital, and in recognition of their background in nursing. Pat being a registered nurse, and Jack a registered psychiatric nurse. Mr. Kay also served as Co-Chair of the Humber River Hospital Foundation’s Capital Campaign Cabinet in support of the new hospital project. In that role he was the driving force behind Apotex Inc.’s $10 million donation to the Campaign. He serves on Nominating, Governance & HR Committee. Bruce Levitt is the President of Levitt-Safety Limited in Oakville. With over 350 employees, Levitt-Safety offers a vast array of fire and safety services, products and expertise to its industrial sector clients looking to address their fire, safety and environmental challenges. It Has been honoured as one of Canada’s 50 Best Managed Companies since 2012. 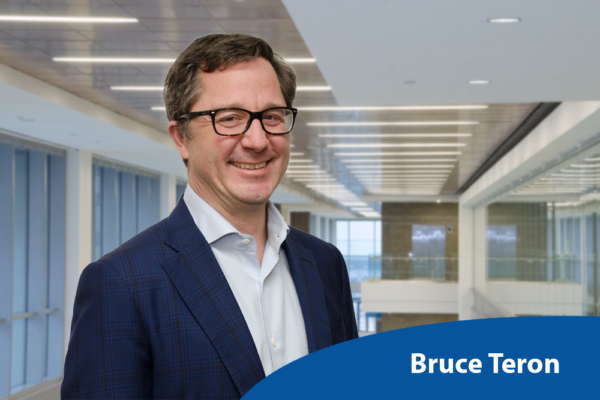 Bruce’s previous experience includes time as a Board Member of HSE Integrated, Canada’s largest publicly traded provider of health and safety services to the oil and gas industry. He has also served as Marketing Manager for Orr Safety Corporation in Louisville, Kentucky. He holds a Master of Business Administration from Dalhousie University, earning the highest academic grades in class for both years, while also serving as Class President. Bruce has a Bachelor of Arts (Economics) from the University of Western Ontario in London. Mr. Levitt has been very active in the Ontario and International Chapters of YPO (Young Presidents’ Organization) – a global platform for chief executives to engage, learn and harness the knowledge, influence and trust of the world’s most influential and innovative business leaders. It has over 24,000 members in more than 130 countries. He is a former Board Member of, and a former President of, the Toronto French School Alumni Association. He serves on Quality Assurance Committee and Nominating, Governance & HR Committee. A senior finance and investment Executive with 25 + years of global experience , in the development, procurement, implementation and financing of large and complex energy and infrastructure projects in Canada and internationally. She has held senior roles in both the public and private sector including Vice-President, Project Finance, Infrastructure Ontario; Vice-President, Corporate and Structured Finance, Aecon Group; Director, Investment Projects and Affiliates, Hydro-Quebec; European Head, Global Project & Structured Finance Royal Bank of Canada; Vice President and European Head, SNC Lavalin Capital. Ms Malo has also run her own consultancy firm since 2009 , specialized in providing independent strategic advice and support to public and private sector sponsors as well First Nations in the infrastructure and energy fields as well as in public-private partnerships. Clients have included, Infrastructure Quebec, Caisse de depots et Placements du Quebec, Via Rail, PPP Canada, the Canadian Council for Public Private Partnerships. Carole has served on a number of public, private and not-for-profit sector boards and strategic and finance committees over the last couple of decades including the Hamilton Utilities Corporation, the United Way (Women Gaining Ground), the Massey Centre for Women, the Thornhill Golf and Country Club and the Badminton and Racquet Club of Toronto. 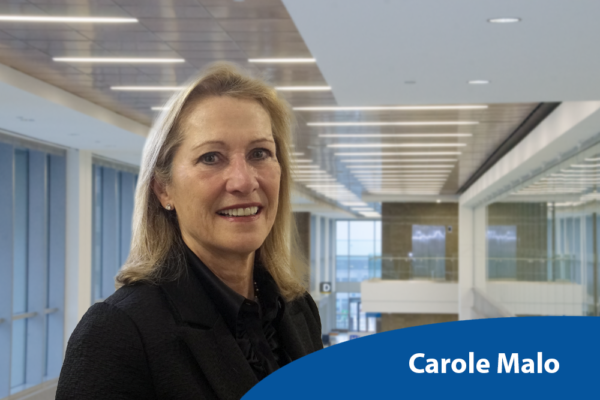 Carole currently serves on the National Energy Board, the Advisory Board of TOK Transit Limited Board and the Humber River Hospital Board. She serves on the Quality Assurance Committee. Barb holds the position of Chief Human Resources Officer, responsible for all global human resources, communications and marketing across Scotiabank. Prior to becoming CHRO, Barb held the positions of Executive Vice President, Global Wealth Management; Executive Vice President, Wealth Management, Canada; and Executive Vice President, Marketing, Sales & Service. She joined the Bank in 198 and has held positions in retail banking, credit cards, marketing, sales and service, and wealth management. Barb graduated from the University of Waterloo with an Honours degree in Environmental Studies and is also a graduate of the Queen’s University Executive Program. She sits on the board of Bayview Glen School, the board of the Humber River Hospital as well as a variety of the Bank’s internal subsidiary boards. Eva is a visionary and an entrepreneur. She has owned and managed two multimillion-dollar manufacturing companies; one in auto parts industry and more recently Screenco Manufacturing Ltd, a roll forming and screen assembly company. Eva transformed Screenco from a local small business to a state-of –the-art leader by modernizing operations, bringing in professional team, keeping abreast of trends and innovating products. A risk taking entrepreneur she expanded Screenco to US and to international markets. A leader by example Eva is a passionate believer in lifelong learning and continuous improvement. She mentored employees and university students, inspiring them to think outside the box and to excel in all they do. As a savvy entrepreneur, Eva has an ability to identify and seize opportunities, turning opportunities into successful businesses. She believes that excellence comes from unrelenting perseverance and hard work. In 2013 she was nominated for RBC Canadian Woman Entrepreneur Award. Eva was the first woman President of Canadian Window and Door Manufacturing Association (Fenestration Canada). She also served as Treasurer. Eva served on the Board of Directors of Toronto International Film Festival (TIFF), Community Foundation of Greater Toronto and Cambridge Foundation. She raised funds for UJA and was on a Board of Governors of Mt. Sinai Hospital. Eva volunteered at University of Toronto’s Integrated Management Course where she guided students in developing solid management skills. In the community, she supported a variety of charitable organizations. She was a member of Young Presidents Organization and is currently a member World Presidents Organization. She is the Vice Chair of the Quality Assurance Committee and serves on the Finance & Audit Committee. Joan Smart is a legal and compliance executive with an extensive regulatory and litigation background. Her expertise includes designing and implementing effective compliance and ethics programs. She is an experienced manager of large global teams and change management, and was a regulatory advisor to executive management and boards. 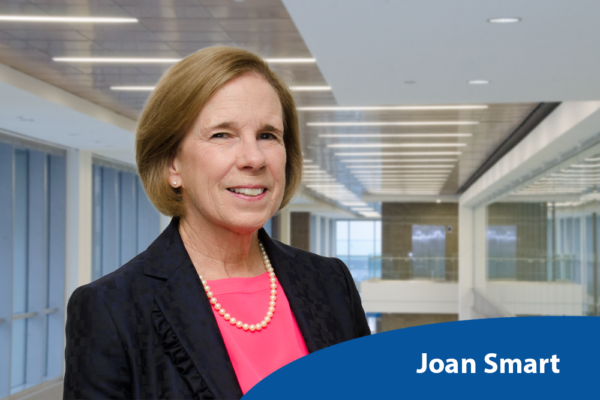 Joan is a former Senior Vice-President, Chief Compliance and Regulatory Officer (CCO), for Scotiabank. In the newly created global CCO position, she was responsible for establishing, and directing the execution of, a strategy for effectively managing compliance risk across the Scotiabank group of companies of 85,000 employees in over 50 countries. From 1991 to 1996 Joan served as Vice-Chair of the Ontario Securities Commission. Her responsibilities included chairing hearings on complex enforcement, regulatory and policy matters, including with respect to market conduct, take-over bids and corporate governance. She managed legal actions involving the OSC and actively participated in regulatory policy making. Joan is a published author on administrative law, securities law and litigation. She is a past-director of Proudfoot House for women in transition from incarceration. She serves on the Nominating, Governance & HR Commitee. Rochelle Stenzler until recently served as Chair of the Board of publicly traded (TSX & NASDAQ) Cynapsus Therapeutics Inc., until it was acquired for C$841M by Sunovion Pharmaceuticals Inc.
She currently serves as an Advisory Board member of Social Capital Partners. 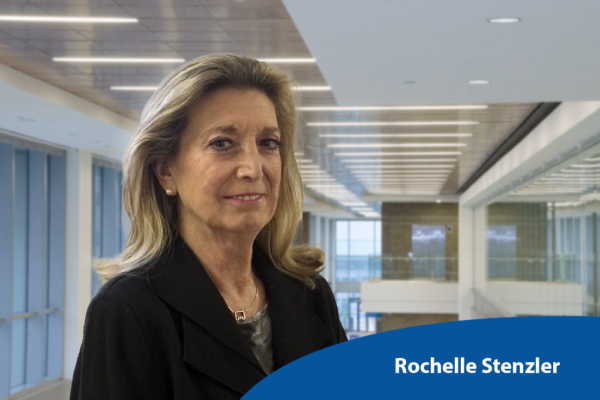 Rochelle is the former Chair of Enwave Energy Corporation and Chairman, Executive Committee member of the CACDS (Canadian Association of Chain Drug Stores), amongst others. Her community involvement includes roles as a Member of the Advisory Board of the B’nai Brith Foundation and serving as a long standing Director of YPO Ontario/YPO Ontario Gold (Young Presidents Organization) where her roles included Board Chair, Education Chair & Finance Chair, ending in 2017. From her distinguished business career, Mrs Stenzler has extensive experience as a senior executive in healthcare, retailing, consumer packaged goods and IVR technology. Prior to establishing Rochelle Stenzler Consulting in 2004, Rochelle’s executive leadership roles include being President & CEO of TouchLogic Corporation; President, International Operations of TLC Laser Eye Centers Inc.; President of Revlon Canada Inc.; and President & General Manager of Pharma Plus Drugmarts Ltd.
Rochelle is a Pharmacist by education & training. She is a graduate of the University of Toronto with a BSc.Phm. & a Gold Medal in Compounding & Dispensing, and the Rotman School of Management, Institute of Corporate Directors, with an ICD.D. Mrs. Stenzler is currently a Vice Chair of Humber River Hospital, and serves as Chair of its Nominating, Governance & Human Resources Committee, as well as a member of its Finance & Audit Committee and Innovation & Transformation Committee. Rochelle is the Chair of Nominating, Governance & HR Committee and serves on the Finance & Audit Committee and Innovation & Transformation Committee. Bruce is a Partner with Deloitte, and a leader in its Monitor Deloitte strategy consulting practice. He brings over 20 years of experience working with executive management teams to shape and execute their strategic and growth agendas, including extensive M&A and post-merger integration work. Bruce has worked across a broad range of industries, most particularly financial services and wealth management, as well as pharmaceuticals, fast moving consumer goods and telecommunications. Based in Canada, Bruce has also worked extensively in the US, UK, Switzerland, France, Germany, Mexico, Chile and Brazil. Bruce is proud to have served for nine years on the Board of Directors of the Hicks-Dellcrest Centre. 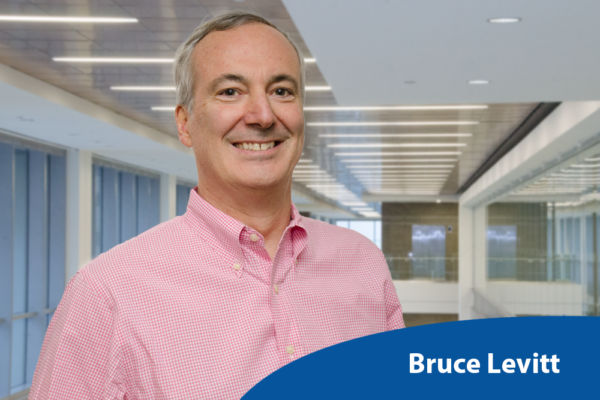 Bruce earned a BCom from Queen’s and an MBA from Harvard. He is the vice chair of the Finance & Audit Committee and serves on the Innovation & Transformation Committee. Paul’s board service work and community leadership has been wide-ranging. 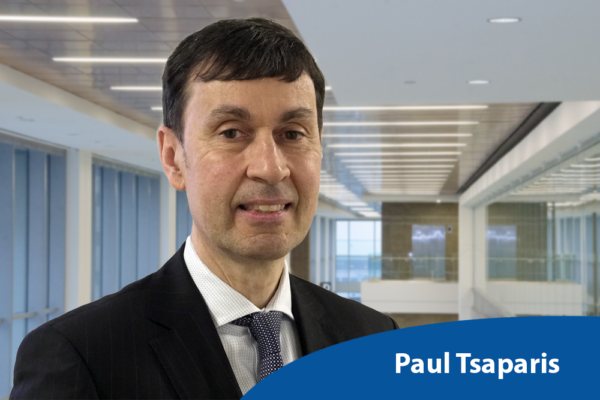 Paul is currently Chair of the Board of Governors at York University, he is a Board member at Teranet, Humber River Hospital and Indspire .He is Past Chair of the Information Technology Association of Canada (ITAC) and Past Chair of the ITAC Board of Governors. He is also a past board member of AcuityAds Inc (TSXV), Greenwood College School, a past member of the Canadian Council of Chief Executives, and Past Chair of Third Brigade, a security software company. He is a member of the WPO/YPO and the Dean’s Advisory Council of the Schulich School of Business at York University, where he was honoured in 2004 with an alumni award for his contributions to the School. In January, 2013, Paul was appointed, ‘Executive-in-Residence’ at the Schulich School of Business. Paul’s over 30 year career in technology included being appointed Hewlett-Packard’s (HP) Vice-President of Technology Support, Americas in May 2010. Before taking on the Americas leadership role, he was President and Chief Executive Officer of Hewlett-Packard (Canada) Co. from September 1998 to April 2010, assuming leadership for all aspects of the company’s operations in Canada, adding distinctive value to the customers, partners and communities it served. Tsaparis joined HP in 1984 and has held progressively senior appointments including Telecommunications General Manager, General Manager for HP Consulting and, prior to his CEO appointment, Vice-President, Computer Organization. He also worked and studied internationally, attending the Co-operative Japanese and Business Society Program in Tokyo with the Council of International Educational Exchange. He holds an MBA from York University in Toronto and an undergraduate degree in science and economics from the University of Toronto. In addition, Paul was honoured in the University of Toronto’s 175th Anniversary ‘Great Minds for a Great Future’ Campaign as one of 100 people recognized with this special distinction. He is a past recipient of Canada’s Top 40 Under 40 Award – a national program that honours Canadians under the age of 40 who have achieved a significant level of success and a 2013 recipient of Queen Elizabeth II Diamond Jubilee Medal, honouring significant achievements and contributions of Canadians. He is the Chair of Innovation and Transformation Committee. Susan Wolburgh Jenah is a leader in the securities and financial services industry. Throughout her 30 year career as a senior regulator, chief executive officer and lawyer, she influenced the direction of capital markets regulation and standards of investor protection in Canada and internationally. Susan has also served on a wide variety of corporate, crown corporation and not-for-profit boards and government-appointed expert advisory committees. Susan is currently a member of the Board of Directors of Laurentian Bank of Canada, Aecon Group Inc. and Aequitas Innovations and NEO Exchange. She is a Governor of the U.S. Financial Industry Regulatory Authority (FINRA) and serves as Chair of FINRA’s Regulatory Operations Oversight Committee. She is a member of the Independent Review Committee of Vanguard Investments Canada. Susan was the founding President and CEO of the Investment Industry Regulatory Organization of Canada (IIROC) which was formed from the merger of two predecessor regulatory organizations. Prior to serving as CEO of IIROC, Susan held progressively senior roles at the Ontario Securities Commission (OSC), including Vice Chair, Acting Chair, General Counsel and Director of International Affairs, representing the OSC on various international standard-setting committees. 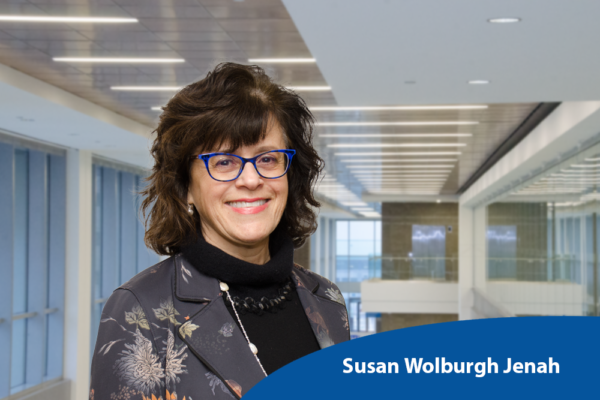 Susan is actively engaged in her community serving as Vice-Chair of the Humber River Hospital, as a member of the C.D.Howe National Advisory Council and as a Mentor for the Catalyst Women on Board Program. She is a frequent speaker at corporate governance and industry conferences in Canada and abroad. Susan received her ICD.D designation in 2004 and is a recipient of the 2011 Osgoode Hall Law School Gold Key Award for Achievement. Susan is the Vice Chair of the board, Chair of the Quality Assurance Committee and Vice Chair of the Nominating, Governance & HR Committee. Michael is the Chief Executive Officer of Ben Machine Products Company Incorporated, a large manufacturer of cutting edge aerospace and defense components in the Greater Toronto Area. He is also an Executive Board Member of the Ontario Aerospace Council. Michael has been a lawyer for over 20 years, practicing in the area of corporate law and commercial litigation. He is the author of three published books and has taught at various Ontario institutions. Most importantly, he is committed to the community. He is founder of the York Region Cycling Coalition, a group committed to improving cycling safety in the community, and a committee member on the hospital foundation’s Team Revolution. He is the Vice Chair of the Innovation & Transformation Committee and serves on the Finance & Audit Committee. Dr. Andrew Meikle is extremely passionate about contributing to increasing social, physical, emotional and mental/intellectual health and well being. Dr. Meikle is a healthcare executive who has dedicated his professional life to supporting healthcare doctors and their teams to perform at the highest level so that they can deliver exceptional patient care. He is currently CEO of Canada Heathcare partners. As a practicing entrepreneurial dentist for twenty years, he realized early on that the business function in healthcare practices can impede or enhance clinical objectives, treatment outcomes and the patient experience. To that end he co-founded Dental Corporation of Canada, now the largest network of leading dental practitioners and clinics in Canada with over 300 locations across the country and one Canada’s 50 Best Managed companies since 2014. He also co-founded DC Institute an e-learning platform committed to furthering excellence in dentistry. 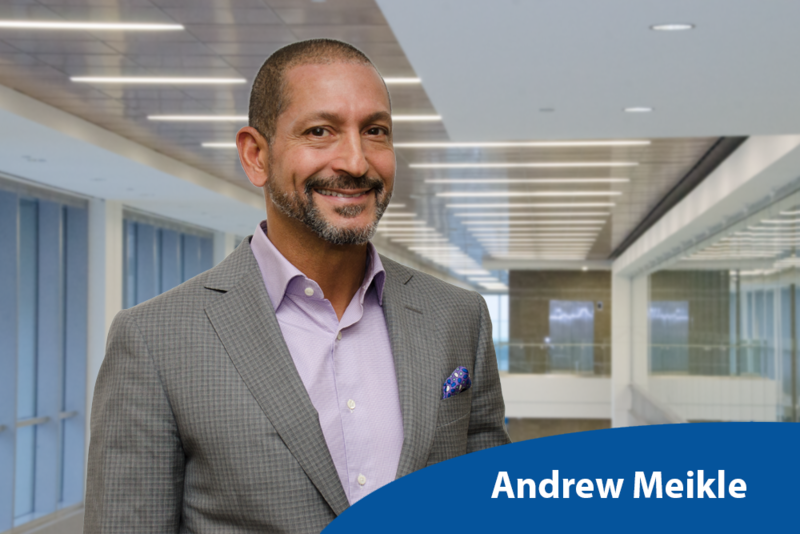 Andrew’s education includes an MBA (The Rotman School of Management, UofT), a DDS (Howard University) and a BSc. (Western University). He also has graduated from the Directors Education Program (UofT) and holds an ICD.D designation. 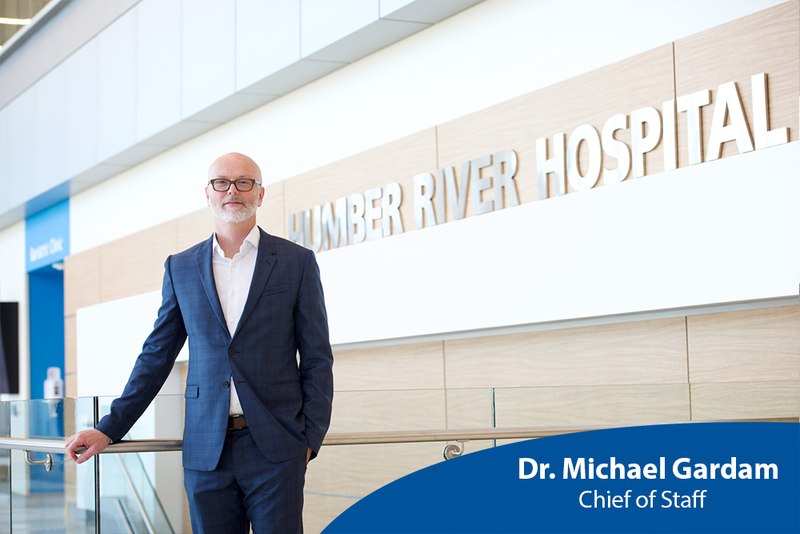 Dr. Meikle became a Director of the Humber River Hospital Board in June 2018 and serves on the Quality Assurance Committee. He previously served as a Board Director at Dental Corp and Novadent (a Birchill Private Equity company) and on the Advisory Board of DC Institute. He serves on the Quality Assurance Committee. Gary is a Partner at Capco, a global business and technology management consulting firm. His experience extends across wealth and investment management, banking, brokerage, and financial planning. 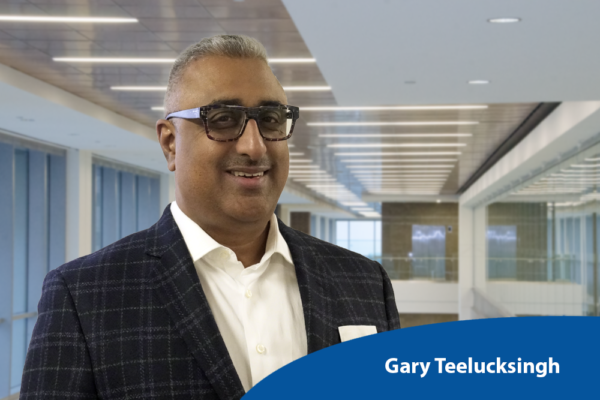 Gary has held executive roles including COO, Head of National Sales, Chief Compliance Officer, Product Management, Head of Wealth Operations, Head of Americas Region. Gary holds a Masters degree in mathematics from the University of Western Ontario and an MBA from the Richard Ivey School of Business. He serves on the Finance & Audit and Innovation & Transformation Committees. 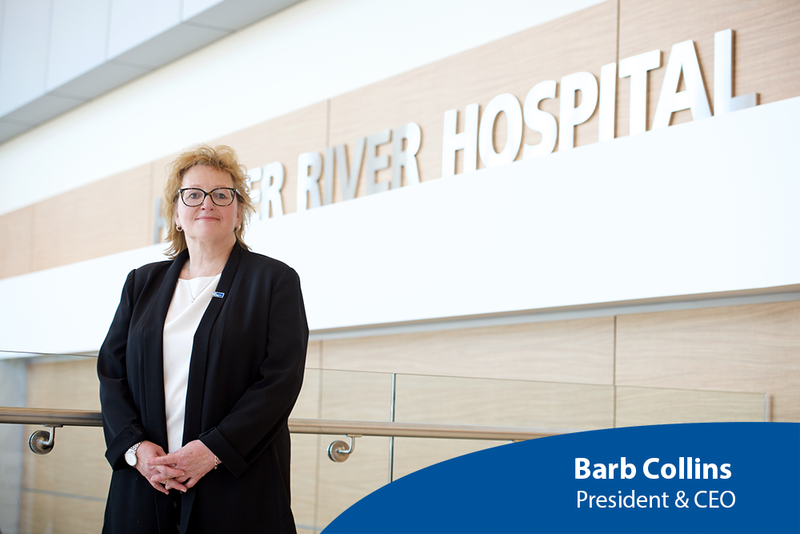 Barb Collins was appointed the President & CEO of Humber River Hospital in Toronto, Canada, on July 1, 2016. Ms. Collins is a Registered Nurse, with an MBA from Queens University in Kingston, Ontario. She has more than 40 years’ experience in acute care hospitals, including nursing in Intensive Care, Operating Room, Emergency Department and has managed Support and Facilities Services. Prior to assuming her current responsibilities as President & CEO, Ms. Collins served as the hospital’s Chief Operating Officer. As COO, she was the senior Executive Lead for Humber River Hospital’s redevelopment project, overseeing the design, construction and activation of the new Humber River Hospital. This 656 bed, 1.8M square-foot acute care facility provided Humber with a unique opportunity to optimize design, incorporate technology and reinvent processes to deliver more effective and efficient patient-centred care, supported by some of the world’s finest medical technology. Humber River Hospital that opened in October 2015 has been recognized as North America’s first fully digital hospital. That journey continues with the opening of the first Hospital Command Centre in the world focused on both patient flow and high reliability patient care. Most recently Humber River introduced a Humanoid Robot, yet another step in transformational care. Dr. Michael Gardam MSc, MD, CM, FRCPC is Humber River Hospital’s Chief of Staff. His clinical work focuses on the care of patients with tuberculosis. 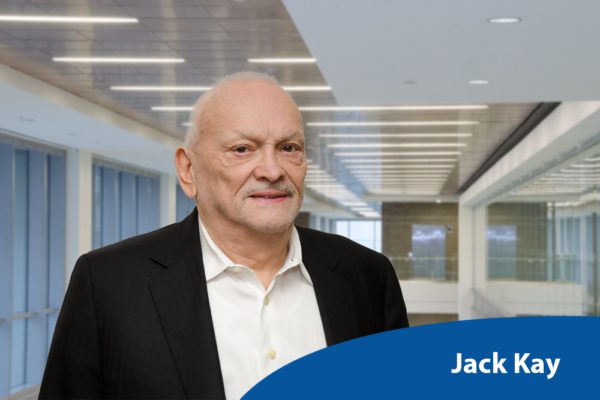 Since 2015, he has also served in the leadership role of Chair of the Medical Advisory Committee and a member of the Board of Directors for UHN. In addition to his medical roles, Dr. Gardam is also an Associate Professor of Medicine at the University of Toronto, an instructor for the Physician Leadership Institute of Joule and Program Director of the Healthcare Leadership Development Program with the Schulich Executive Education Centre at York University. He has over 100 scientific publications to his name. Previously the Medical Director of Infection Prevention and Control at the University Health Network (UHN), Dr. Gardam put into place a world-renowned Infection Prevention and Control Program. He has consulted for international organizations in complex healthcare environments, with the goal of driving change and helping to uncover innovative solutions to medical challenges. Some of his clients have included the World Health Organization, the Center for Disease Control and Prevention, Excellus Blue Cross Blue Shield, Irish Health Services Executive and the Maryland Patient Safety Center. He obtained his medical education at McGill University, following it up with subspecialty training in Infectious Diseases. He holds an MSc in Health Administration, Health Policy, Management and Evaluation at the University of Toronto. 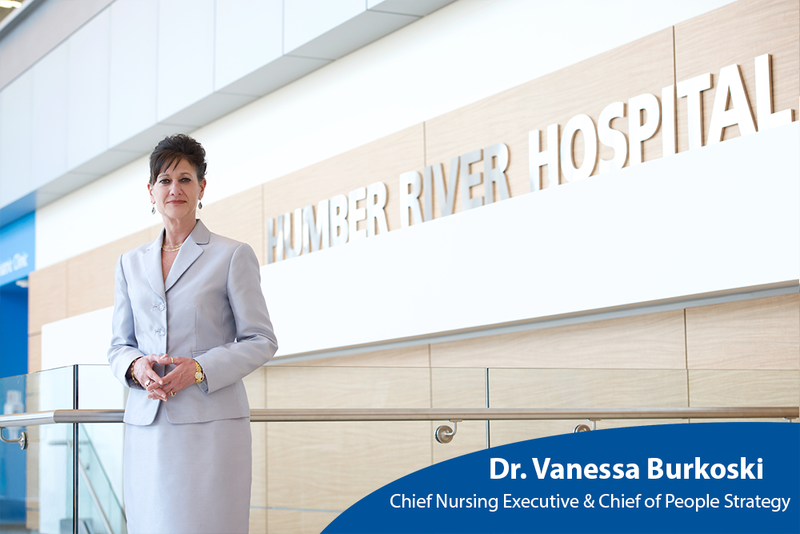 Dr. Vanessa Burkoski joined Humber River Hospital on September 12, 2016 as the hospital’s Chief Nursing Executive. In that role, Dr. Burkoski provides overall leadership in quality, strategic direction and management of professional practice in nursing and regulated health professions. Dr. Burkoski is passionate about evidence-based practice and the creation of an engaging, healthy, and scholarly practice environment in which health professionals can maximize their contribution to quality and patient safety, and improve organization and system outcomes. Dr. Burkoski has extensive experience providing executive leadership, strategic advice and nursing expertise on a wide range of nursing and health care policy issues. From 2011 to 2016, Dr. Burkoski served as Chief Nursing Executive/Professional Scholarly Practice at London Health Sciences Center where, amongst her many accomplishments, she led their success as one of Canada’s top Best Practice Spotlight Organizations (BPSOs). From 2007 to 2011 as the Provincial Chief Nursing Officer, she provided strategic policy advice to the Minister of Health and Long-Term Care, conceptualizing and facilitating the implementation of a wide-range of evidence-based, innovative program and policy initiatives. Dr. Burkoski is recognized provincially, nationally and internationally for her values-based, evidence-informed and courageous leadership. A proud registered nurse and immediate past president of RNAO, Dr. Burkoski holds a BScN, MScN and Doctorate in Health Administration. She is an Adjunct Associate Professor at the University of Windsor, an Adjunct Academic Appointment in Nursing at the University of Western Ontario and at the Lawrence S. Bloomberg Faculty of Nursing, University of Toronto. 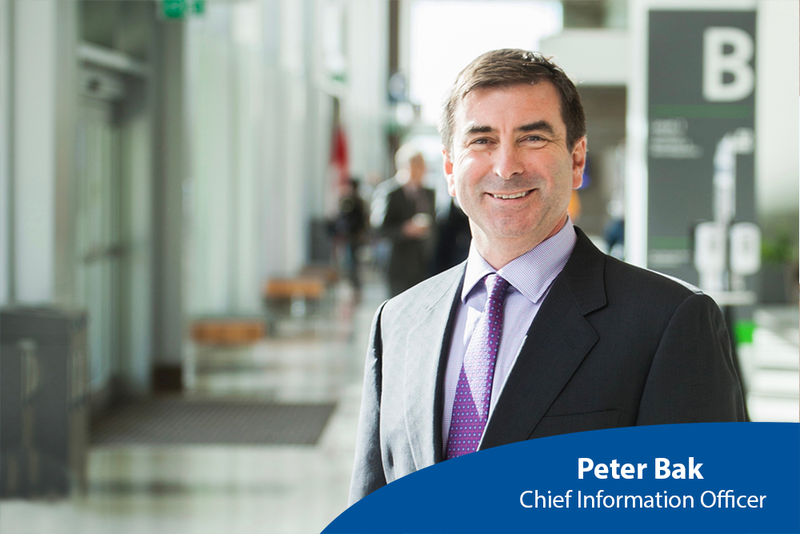 Peter Bak is the Chief Information Officer at Humber River Hospital. He is responsible for the implementation of the digital vision and on-going operations of that vision. With over 25 years of experience in health care software development, product commercialization, consulting and executive leadership, Peter has extensive expertise in diagnostic imaging, electronic health records, health record sharing and collaboration, and hospital IT. Peter has a PhD in applied engineering from Imperial College, London. He has published various papers on health care-related topics. 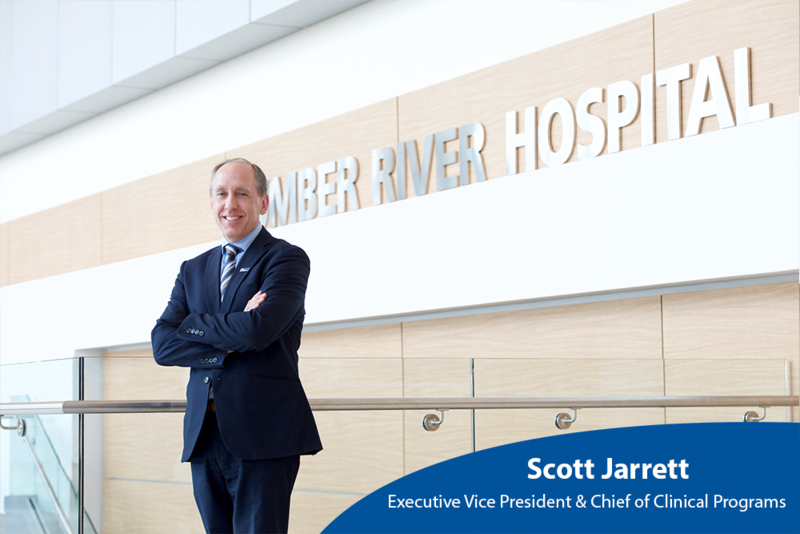 Scott Jarrett holds the position of Executive Vice President and Chief of Clinical Programs at Humber River Hospital. He is responsible for the day-to-day operations of all clinical programs and services. 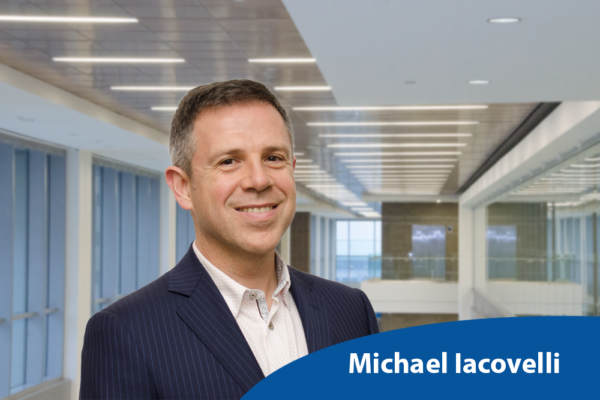 Over the past 10 years, he lead and played a key role in the move and relocation of 3 legacy sites to North America’s first digital hospital and implemented the first Canadian hospital Managed Equipment Services (MES) contract as part of the hospital redevelopment. He continues to work to enhance the patient’s experience. Prior to that, he spent the last fourteen years working in a number of health care organizations in Ontario. A professional and dynamic individual with strong analytical, financial planning and evaluation skills, Scott has accomplished many change initiatives within these organizations acting as a role model in empowering staff decision-making and team cooperation. 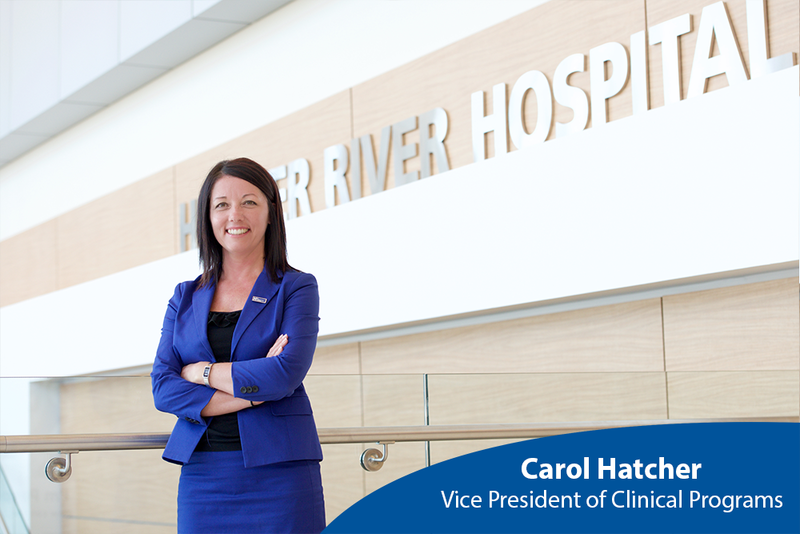 Carol Hatcher is the Vice President of Clinical Programs at Humber River Hospital. As the Vice President of Clinical Programs, she is responsible for planning, organizing, directing, leading and evaluating patient care activities in Mental Health, Medicine, Emergency Services, Nephrology, Family Practice, Surgery, Maternal and Child and Critical Care. Carol is a transformational leader delivering innovative initiatives supporting excellence in clinical practice and patient care. She is passionate about ensuring patients receive the highest, safest quality care within a high reliability culture. Carol has over 20 years of progressive leadership experience as a health care professional. She has worked in the acute care sector in a variety of positions such as a staff nurse, resource nurse, clinical nurse education [educator], patient care manager, program director and vice president. She received her Master of Nursing with a focus in Health Systems Leadership and Administration from the University of Toronto. This document outlines our process for reimbursing justifiable hospital expenses.